2. Surround mode: Connect the bracket to the lamp and secure it on the floor to adjust the lighting angle and panel orientation of the lamp. 3. Solar panel installation should be in direct sunlight, the solar panels can be adjusted to a more sunny direction. 4. A color type switch: switchs a glare at the bottom of the solar panel. 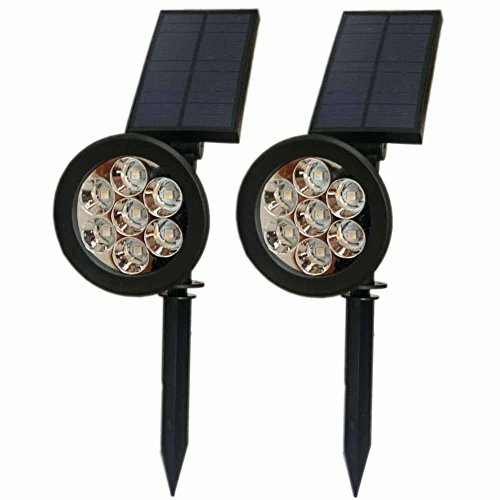 2 seconds of the photo is lower for the lighting.After the installation is complete, the solar lights will automatically switch to the lighting control mode, in the daytime lighting automatically shut down. When dark, it automatically opens.